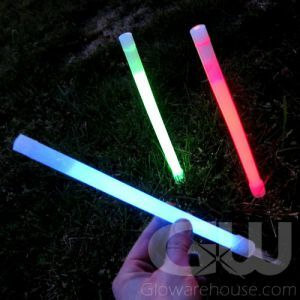 - 4" Glow Sticks with handy Stand! - Individually Packaged! Stand is Removable! 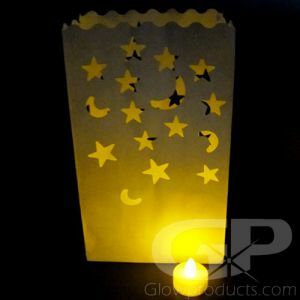 - Light up Luminary Bags, Paper Lanterns & Pumpkins! 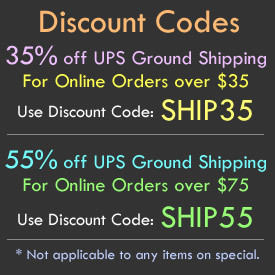 - Great for use as Pathway Markers! Night Sports! Camping! The 4 Inch Glow Sticks with Stand are the perfect answer for lighting lanterns and luminaries, marking paths and as temporary outdoor garden lights. Handy and inspirational for church and memorial services, this Glow Stick has more light intensity than any other comparable sized Glow Stick because it has the highest volume of glow liquid. 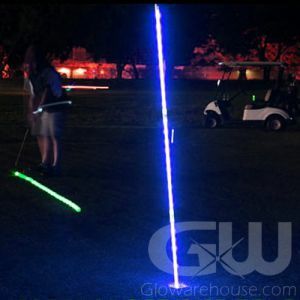 The bright little Glow Sticks are also useful for night golf to mark tees, fairways, sand-traps, greens and holes. 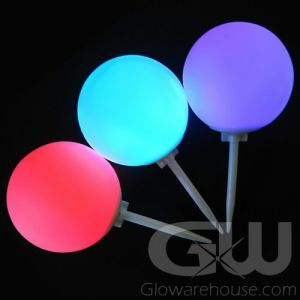 With its well-designed stand, the 4" Glow Stick will sturdily stand upright just about anywhere. 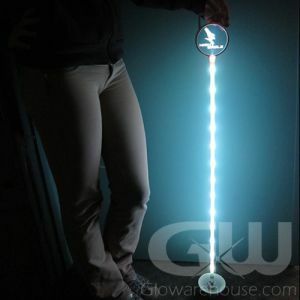 Pathways, garden walks and pedestrian hazards can all be easily marked and illuminated with the 4" Glow Stick with stand. Don't worry about it raining or using these in wet areas - they're totally waterproof! And we know you want them bright, that's why we carry these glow sticks in Green and Yellow, the two brightest glow colors! 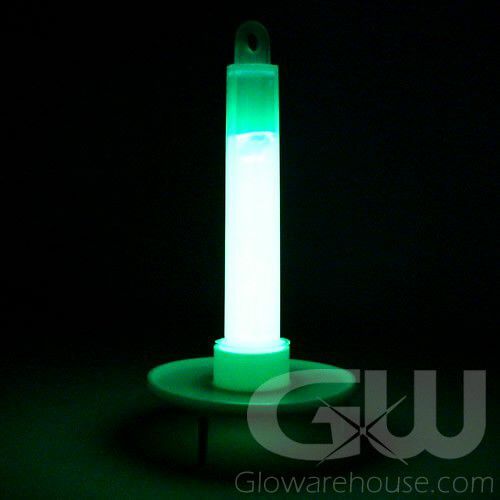 To activate just bend the glow stick enough to break the internal capsule. 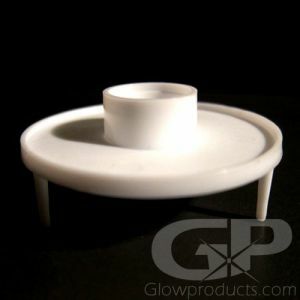 Shake to mix and start the glow and then fit the bottom of the 4 inch light stick into the included stand so that it is held in an upright position.